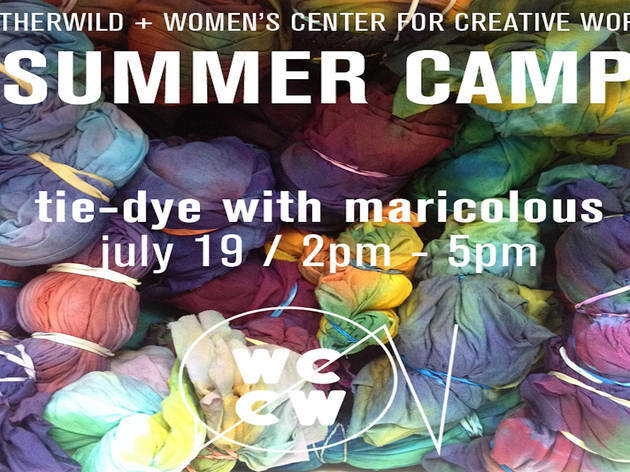 Pay homage to your old camp days by giving your clothes a new dye job at Otherwild and Women's Center for Creative Work's summer camp tie-dye with Maricolous event. Bring pretty much anything bigger than a dress and dye it using fiber reactive dyes. 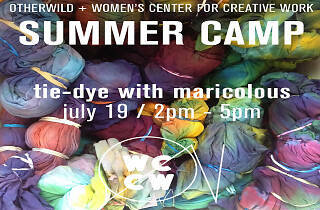 Make sure the clothes you bring have been washed with soap and hot water to prep them for their dye job. The event is outdoors so bring some SPF and anything else you need to survive the summer heat. And if you just want to dye something new, blank tees will be available for purchase.